Thank you. 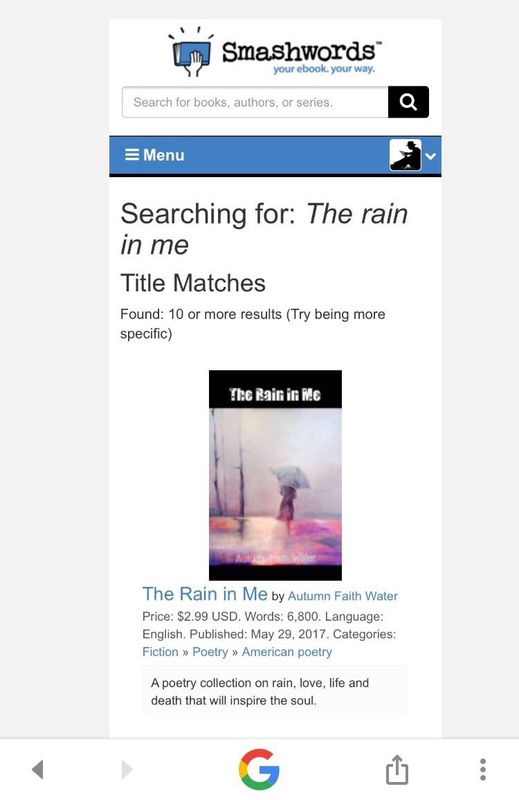 Ebook is also on Kobo, iBooks. Book in paperback will come out in July. 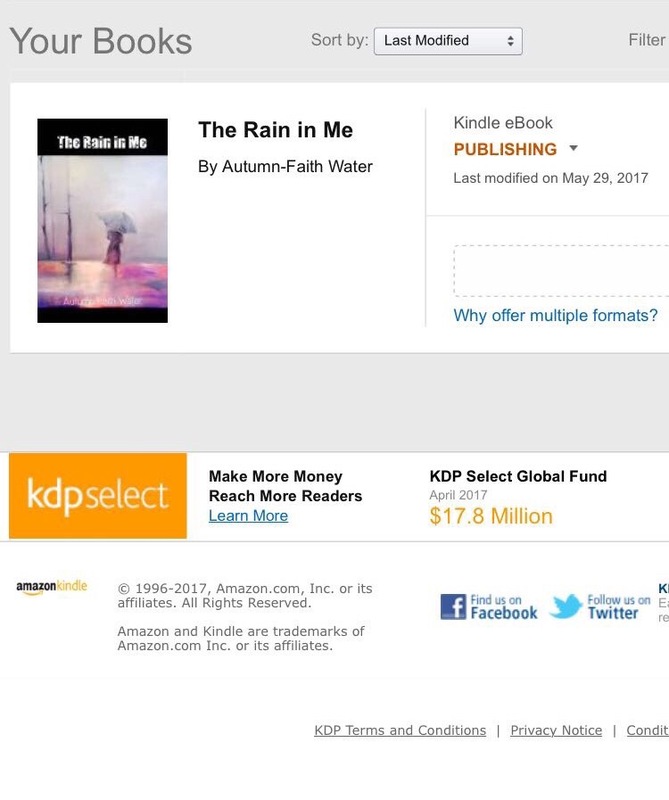 Is “The Rain in Me” available on Kindle Unlimited?